We research commercial construction project leads from inception and track them through to completion, and are the only data provider with the combination of true national U.S. coverage and the strongest Canadian coverage available. Searchable plans and specs, predictive material demand and powerful alerts mean you can focus on the leads that get you the best results. Our in-depth knowledge of the construction market throughout the US and Canada, backed by highly respected economists and state of the art technology, puts market insights, strategic analysis and accurate forecasting at your fingertips. 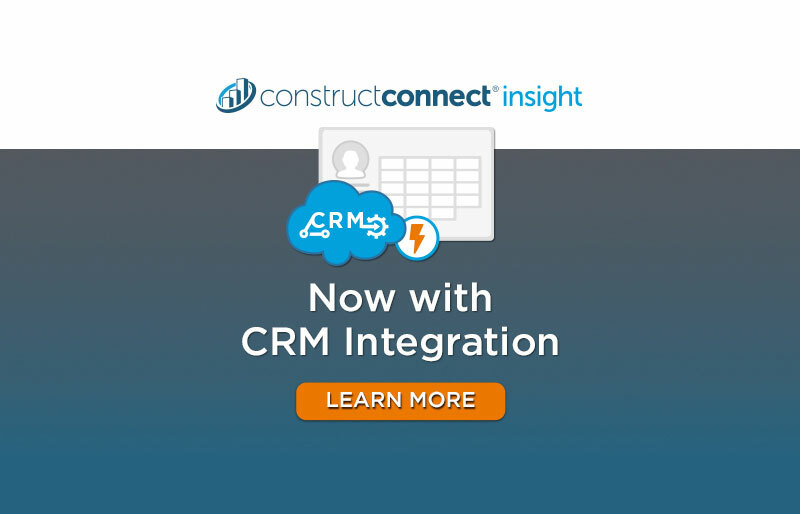 Integrate this with construction project leads via our Insight software platform and it becomes game changing, unlocking otherwise unseen potential for your business. By providing services that help you get in front of the right architects and contractors for your business, and then supporting you with technical documents that will have an impact, we help you generate more specifications and hold those specifications through installation. Why Choose Us for Construction Leads? We use all possible resources to get you the most accurate, dependable project information available - including dedicated project lead researchers, the latest extraction technologies and industry-leading partnerships. In fact, we are the only construction leads and data provider with the combination of true national U.S. coverage and the strongest Canadian coverage available.